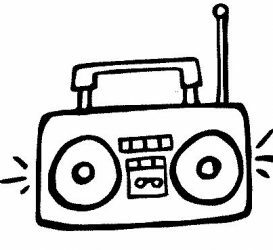 Did you know that more than a quarter of community radio listeners have a disability? We need more of them on the radio and YOU can help make that happen. 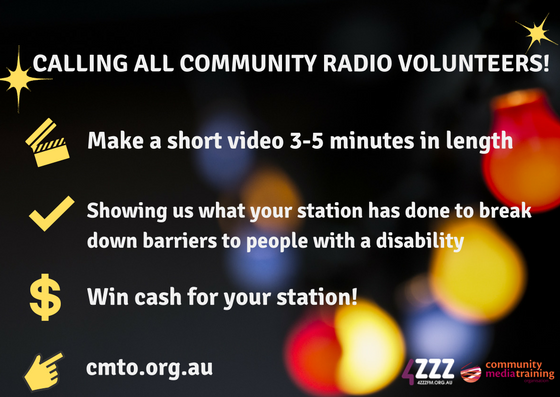 Show us what you are doing as a station to make community radio more accessible to people with a disability (PWD). Make a short video (3-5 minutes) giving us a look inside your station at what you are doing to be more accessible and inclusive for PWD. Your video will help other stations be more accessible too! The CMTO are offering $500 to the station that makes the best video as judged by the people! You can use professional video equipment if you have it, or you can use a smart phone, as long as the quality is good enough for us to see and hear the exciting things happening at your station. We prefer 720p quality. If you haven’t got a camera, or any experience making a video, check out these handy video, iphone and smart phone guides. UPDATE: Deadline now June 1!